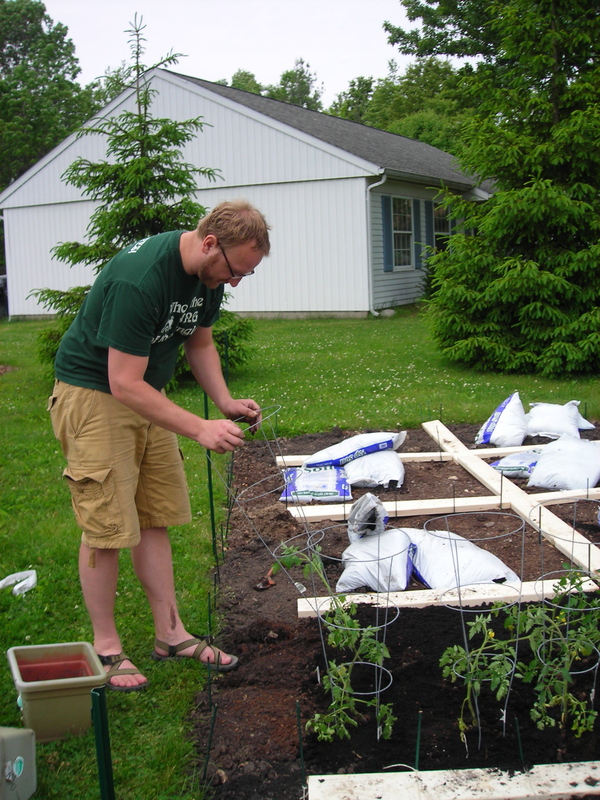 A few years ago Sarah and I began to grow a garden. Gardens do not just grow over night by mere happenstance. You have to till the ground, plant seeds, water, and harvest. It takes work and a lot of initiative. In Genesis 12, God takes the imitative to nurture the seed of humanity; He readies the land and blesses the growth. He does it all through an ordinary man named Abram. Can you image the day, Abram is out in the field tending to his herds and he hears a strange voice calling to him. Remember, God had not spoken verbally His covenant with Noah. It is God, again, who initiates a covenant relationship. Like Noah, Abram was a sinner living with sinners, but found favor [grace] in the eyes of God from among all the scatter people on the earth. 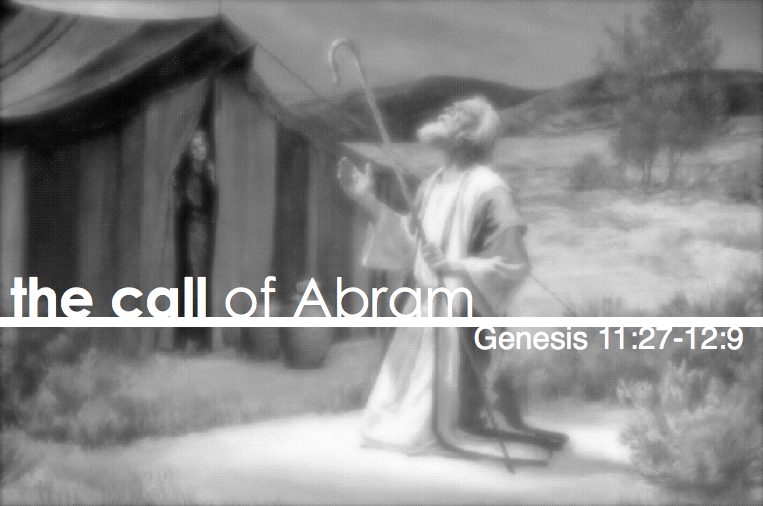 What was God calling Abram to do? First, Abram was called to leave the land that he was used to traveling around. Second, he was to leave his family and specifically his father’s house. Third, he was to go to a strange land that is not specifically named. God simply calls Abram to leave his homeland to journey to a new land that God would show him. Do you sense the radical measure of this call and the details left out? Put yourself in Abram’s sandals. How would you respond to such a radical call? Why was Abram called to do something so radical? God promised to bless Abram’s faith and obedience beyond just him and his tribe. Abram was called by God to become the father of a new nation, become an example of living faith, and become one of the Bibles most mention patriarchs of Gods promise [i.e. over 300 times in the OT & NT]. Here in this short, three verse—text message sized—call, God rehearses some of the major themes of Genesis. First, God promises land [12:1b]. Second, God promises seed [12:2a; cf. 4:25-26; 6:5; 9:20ff; 11:4]. God says later his seed will be like the dust of the earth [13:16; 28:14]. In a real sense God promised Abram he would be a father and through his son a great nation blessed by God would be a blessing to all nations. Third, God promises blessing [12:2b; cf. 22:17; 26:3; 28:3] of His presence, protection and covenant. Fourth, another theme arises that has not been mentioned until now, nation [12:3; 18:18; 22:18; 26:4; 28:14]. God promises to make Abram’s name great, which ironically is the same thing the Babylonians failed to achieve for they pursued it apart from God. You don’t see a long deliberation in between the call of God and the answer of Abram. You do not see him lying in his bed at night thinking about his conversation with God, or talking with his wife over dinner, or asking God some clarifying questions like, “Where did you say I was going?” The amazing fact is: Abraham believes God and goes [12:4]. No questions. No hesitations. He goes, in spite of leaving everything he knew behind and not knowing specifically how God was going to do all that He promised. It is as if he says to God, “Alright, God, I’ve got nothing else to lose.” At 75 ears old, a guy who at his age should be enjoying retirement and grandchildren takes his wife, their household, and his Nephew Lot to an unknown land. This is the first step of faith in Abram’s life. It is a step that will affect not only him but also all of mankind. God will use Abram’s mustard seed sized faith. Have you ever been where Abram is in your life? You decide to trust God, doing things His way, even in the face of the impossible. Abram starts off his journey with faith. No excuses, like “I forgot to lock the front door honey?” No turning back to feed the goats and camels, he takes them all with them. From this point forward, the lens of Genesis focuses in on the descendants of Abram as God’s covenant people raised up to be blessed nation and a be blessing to all other nations and people who follow. If you contrast Abram with Babylon, both the story, which preceded his call and the city that was the location he was called from [Genesis 11]. The Babylonians sought to be a great nation, blessed people, and great in name, but they pursued this apart from faith and apart from God. So, God called one of them, Abram, out from the land and into covenant with Himself and promised to give to Abram all that the Babylonians had strived for by His gracious provision. Therefore, God is demonstrating that our hope is not in the efforts of sinners who save and bless themselves, but only in entering into covenant relationship with God by faith. What lessons about faith do we learn from Abram? How does his faith point us to Jesus? First, your obedience to God is always connected to your faith in God. If you trust God you will obey God. The more you obey God the greater your faith will grow. Though Abram’s faith is incredible it is not complete. Only Jesus’ faith and obedience were complete. Second, any time you obey God expect opposition through seeming dead ends, speed bumps, or foggy roads ahead. Faith helps you press on when the road ahead is hard or uncertain. The disciple’s obedience led to persecution [Matthew 5:3, 5, 10]. Jesus obedience led to a suffering cross. Third, God calls ordinary people to carry out His extraordinary plans. Abram was a sinner, but God’s grace was upon him. The covenant promises carried out by Abram’s faith point to the New Covenant in Christ. Finally, the seed of Abram that will bless all nations points to Jesus, the promised seed, who will redeem the sinfulness of mankind [Matthew 1:1; 24:14; Romans 4:13]. Those who obey and have faith in Him will live with him in the Promised Land in the Eternal Kingdom [Hebrews 11:10; Revelation 22:1-4]. This promised seed is singular, which points to Jesus [cf. Genesis 3:15; Matthew 1:1, 1:17; Galatians 3:16]. Abram was also told he would that his descendants would receive the Promised Land if he in faith go from the land God called him to. Reaching the Promised Land was not fulfilled in Genesis because Genesis ends with Joseph requesting his bones to be taken from Egypt to the Promised Land in the day that God’s people finally entered that place. Also, Exodus ends with the expectation that one day the Promised Land will be entered [Exodus 40:34-38], which is not realized until after the death of Moses [cf. Joshua 1-4]. Abram responds by worshiping God in faith by building an altar other times in Genesis [12:7, 8, 13:18, 22:9].